For easy and complete mac outlook olm file conversion install the software on your host machine. In few clicks olm to eml converter tool will export entire emails into single mail file format. Novice user can also use this software. The utility is capable of scanning corrupted and inaccessible olm file. Before performing conversion software scans the added file and folder and fix the issues. So it is easy to convert password protected, corrupted and damaged olm file. The Software enable users to preview entire emails and attachments before proceeding for conversion. 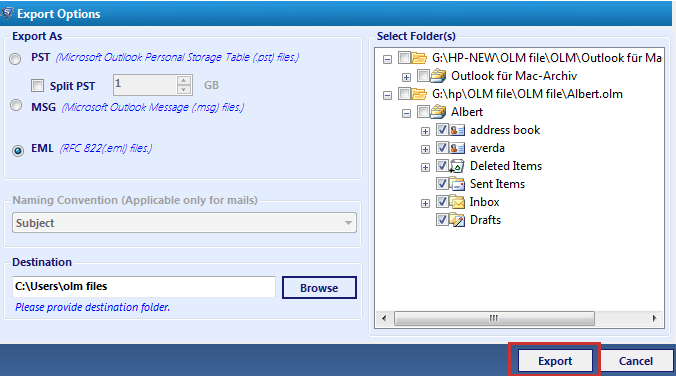 It creates a list of all scanned folders in left pane of software windows click on it to preview emails in olm folder. 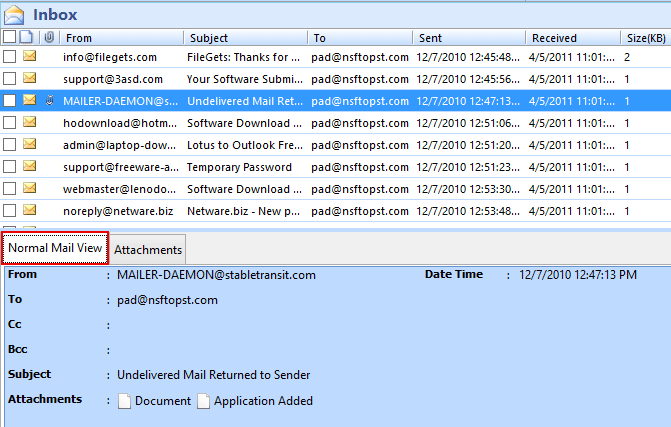 Mac Outlook 2016 and 2011 stores entire emails and attachments in olm file. So while converting olm file to eml format user need to convert specific emails only. So for this software provide selected emails conversion feature. 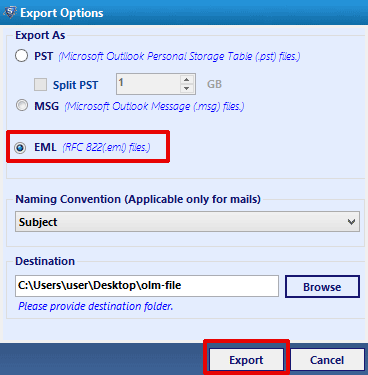 The olm to eml converter tool is capable to export emails along with their attachments. 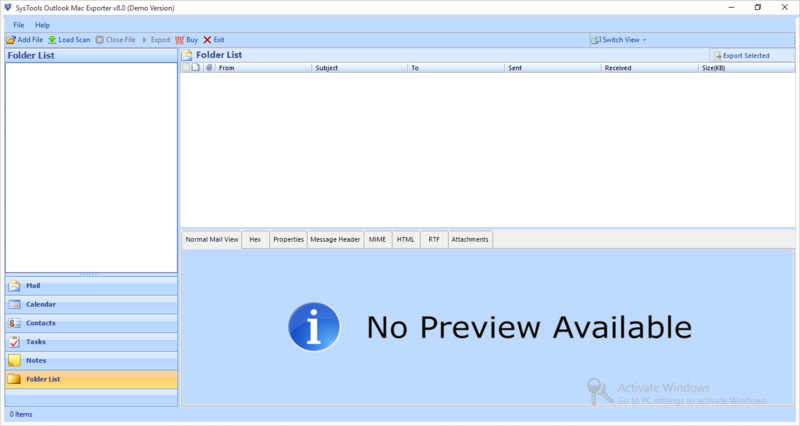 The software also provides preview of emails and attachments before conversion. After conversion user can access both emails and attachments. For better visibility and comfortable working, user can switch software windows from vertical to horizontal view and vice versa. Switching from one view to another view user need to just click on vertical or horizontal option. 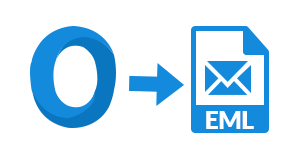 After the successful conversion of mac outlook 2016 and 2011 olm file to single mail eml format. Software provides naming convention feature to save resultant file. User can save result by subject, date and combination of these fields. OLM to EML Converter software is a stand alone utility. It does not require any email client to perform conversion. After conversion user need to import the resultant file into supported mail client to access the emails. The folder structure in the resultant single mail eml format will be same as in the source olm file. The software ensures to user that the folder structure remains intent after the successful conversion. Simply explore folder to view emails. For the better analysis of conversion process, mac outlook olm to eml converter tool generates a conversion process report in .csv format. The report contains list of all emails being converted and aborted during conversion process. Does software convert password protected olm files? Yes, the outlook 2011 mac to eml converter software support conversion of encrypted, password protected and corrupted olm file. Does any technical skill require to deploy this software? No, The software provides user friendly graphical user interface. User need to just click on required options and the software easily performs conversion. How many OLM files can be convert during single conversion cycle? User can convert unlimited olm files in single conversion cycle. The olm to eml converter tool does not posses any number of olm file limit for conversion. Does the software dependent on any other utility? No, the software is stand alone product. It does not require any other third party utility to perform conversion. The software is compatible with mac operating system or not? No, the olm to eml converter tool is windows based utility. It is compatible with all windows operating systems only. Click on Add button from the main menu bar. Hit Browse button to fetch .olm file file. Select the file from your local machine and press Open button. Click on Add button from software pop-up window. Now view complete scanning process of Mac olm file. Save scanned OLM files within the software. If you want to save it then press Yes else No. Switch the screen of software from Horizontal to Vertical or vice versa. To select single file from scanned olm file Right Click on it and click on the Export option. 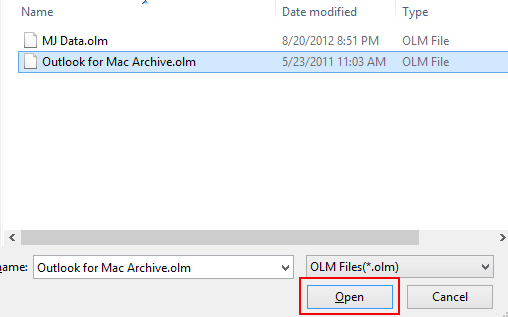 For complete olm folder conversion select folder and click on Export button from software menu bar. Select the EML radio button from the list and hit on Export button. Here you need to Select Folder » Naming Convention (If required) » Brows Destination and at the end click on Export button. "I successfully converted all emails and attachments saved in mac outlook olm file into single mail eml format. By using olm to eml converter tool, the conversion become easy for me. Because the software provides simple and user friendly. Hartley thanks to the software development team." "Earlier I was using mac outlook but now, I am using windows operating system. For my personnel reason I need to access emails saved in olm files. 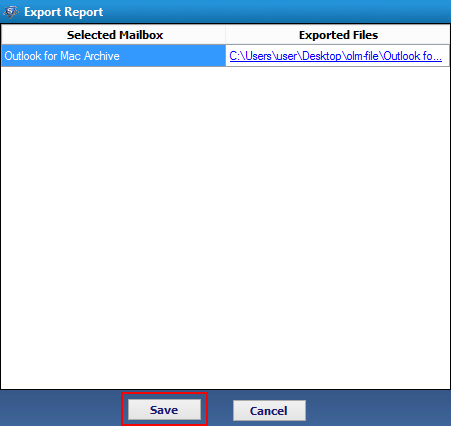 I installed this mac outlook to eml converter utility and exported required emails only. Technical support team helped me in single call, paying thanks to all their support."